Have A Go Open Day! I read a quote recently that said “Working together, ordinary people can perform extraordinary feats. They can push things a little further on towards the heights of excellence.” At Inclusion WA we are a group of ordinary people but we are constantly searching for new ways and opportunities to work together – with each other, with individuals and families, with community, government and business. We are committed to working in partnerships as we genuinely believe that so much more can be achieved when this occurs. It is for this reason I am especially delighted to present our newsletter this month as it highlights just a few of the partnerships, across different sectors, which are allowing us to achieve so much more than we could by ourselves. Excellent legal firm, Culshaw Miller are partnering with us, as corporate members, to support young people with disabilities in connecting with their communities through the Youth Connect program. The City of Bayswater have also partnered with Inclusion WA to bring together sports, individuals with disabilities, families and local organisations as part of their vision for an inclusive community. Henry Ford wrote “coming together is a beginning; keeping together is progress; working together is success”. I look forward to long term success with all of our current partners and those yet to come. 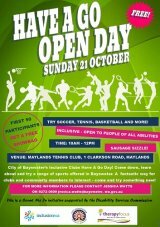 Head to the City of Bayswater this Sunday for a FREE day of sports! At the end of September I went to the National Youth Disability Conference in Melbourne. It was a fantastic opportunity for me to meet with other service providers and many young people with disabilities - it also showed me that we have some great services here in WA. Culshaw Miller Lawyers are the latest organisation to join us as a Corporate Member. Inclusion WA’s Sport and Community Development team headed to Carnarvon over the school holidays to bring the first Inclusive School Holiday Program to the town! 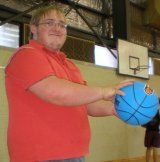 Jordan (17) is a caring, warm young man who lives in Karratha. Jordan started coming along to the inclusive holiday program with his two brothers Jamelah (8) and Preston (9). Jordan was/is the primary carer for his little brothers during the holiday periods when their mum, Toni is at work. The boys initially got wind of a sports program and decided to come along and check out a session one day. After a slow and perhaps apprehensive start, the lads saw that they could all get involved and have a go at a range of different sports. They slowly started coming out of their shells and showing off some unique skills and gifts. Jordan is a very protective and caring big brother and had obviously assumed the male-mentor role for the family when he had to. This program soon saw Jordan spending quality sibling-time with his two brothers and it was very clear that he dropped his guard and really let himself have a great time. Jordan helped not only his brothers develop skills but soon became a volunteer and a coach for many other little children. Jordan helped in food preparation and a host of different activities and his entire body language and persona developed to the stage where Jordan was recently able to gain his driver’s licence. Jordan has also picked up a job at the Woolworths Deli and aspires to one day manage the store himself. Jordan is also really keen to get his Toyota 4WD up and running (currently in parts) so he doesn’t have to borrow his mum’s car every time he would like to go somewhere. The Inclusive Holiday Program has helped Jordan spend quality time with his brothers and it has also allowed him to lead groups and activities, helping to boost his sense of self-worth and belonging in his own local community. Jordan is a much loved part of the community and the Inclusive Holiday Program has helped him make many new friends that he engages with now on a daily basis. Disability Inclusion in the Workplace - This workshop is tailored to meet the needs of employees that work at Disability Employment Service providers, especially those that work in an Employment Consultant capacity.